The federal government of Prime Minister Nawaz Sharif released, for the first time, officials figures of journalists killed, injured or kidnapped in the last five years – 2010 and 2014 – with 46 casualties of media persons and highest among them having taken place in Sindh and Balochistan provinces. It, however, said that only 18 journalists were injured and four kidnapped during the same period – numbers do not match with numbers press freedom organizations, including Freedom Network, have while monitoring press freedom violations in the country. 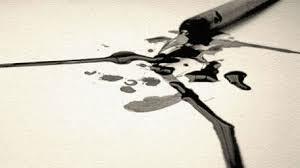 Seventeen journalists, according to the Interior Ministry’s reply, were killed each in Sindh and Balochistan provinces during the last five years and second highest casualties after Balochistan and Sindh were reported from Khyber Pakhtunkhwa province bordering the country’s wild tribal areas along the border with Afghanistan – seven. “The government has reaffirmed its resolve to take all necessary measures to ensure speedy investigation of all cases involving attacks on journalists and media-persons,” the minister for interior and narcotics, Chaudhry Nisar Ali Khan, told the Parliament session. Member Parliament Sheikh Salahuddin from Karachi representing Muttahida Qaumi Movement (MQM) submitted ‘question for oral answer and reply’ with the National Assembly Secretariat in Islamabad. The answers came up during the 24th session of the Parliament. He asked the minister for interior and narcotics “be pleased to state: a) Whether it is a fact that Pakistan has been included in the list of dangerous countries for Journalists; if so, the details thereof; (b) the number of Journalists killed/injured/kidnapped during the last five years along with the action taken by the government in this regard; and (c) the steps being taken by the ministry for the security of journalists? The interior minister, as he is critical of civil society organizations’ roles in the country, appeared fumed at indexing Pakistan at 158th position in the World Press Freedom Index Paris-based Reporters Without Borders made this year. The minister also enlisted the “preventive measures” adopted by the government for the security of journalists and Media houses. “A mobile phone panic alert system developed by ICT (Islamabad Capital Territory) Police to seek help of Law Enforcement Agencies (LEAs) through a Push Button Application provided by the ICT police to security officials and working journalists of each media organization based in Islamabad. Provincial Home and Information Departments are replicating the said application in their provinces in consultation with ICT Police. “A security audit was conducted by the ICT Police to comprehensively assess security related needs of media establishments located in Islamabad. Provincial Home and Information Departments are replicating the same in their jurisdictions. A cell in NCMC/NACTA is monitoring progress to ensure implementation. Media can register complaints with the National Crisis Management Cell of Ministry of Interior through accessing their dedicated helpline number (1717). 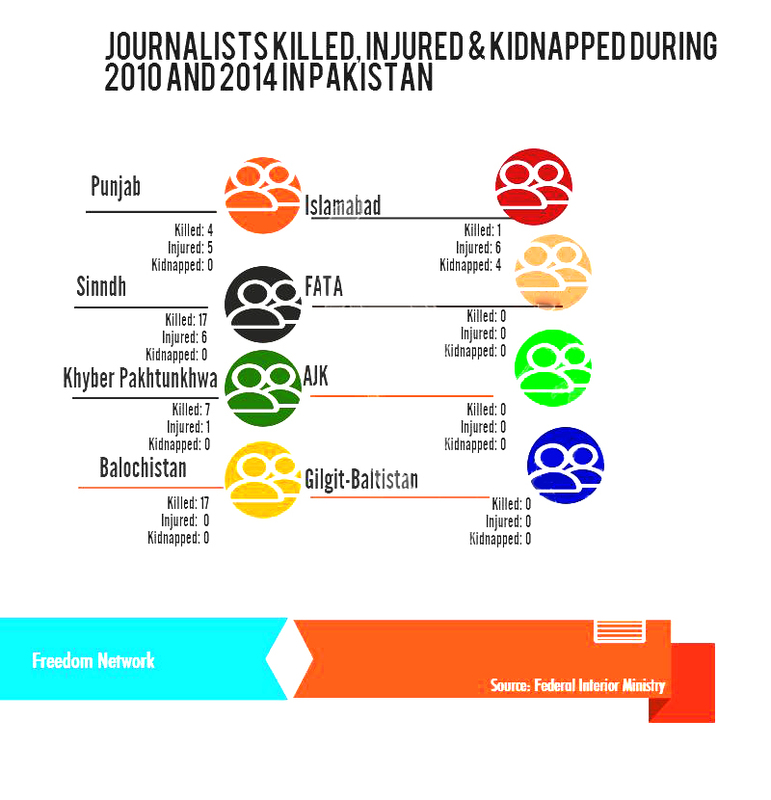 Click below link to download PDF document showing breakup of journalists killed in each province and special zone of Pakistan. its good report about the worst situation of journalists in our country ,,but what about those journalists who are being threatened and forcibly stopped for reporting the matters,,like me.